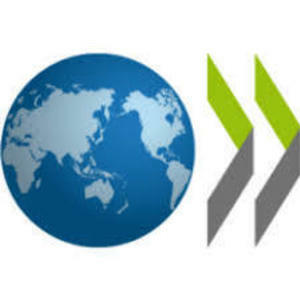 Daily Dose of Data 3: Top 10 world exporters of ICT services | The Forum Network, hosted by the OECD: Shape ideas. Shape policy. Shape the Future. We will present a statistic from the Digital Economy Outlook 2017 every day (until we run out!) on The Forum Network. Together, these ten countries account for two-thirds of total exports of global services. 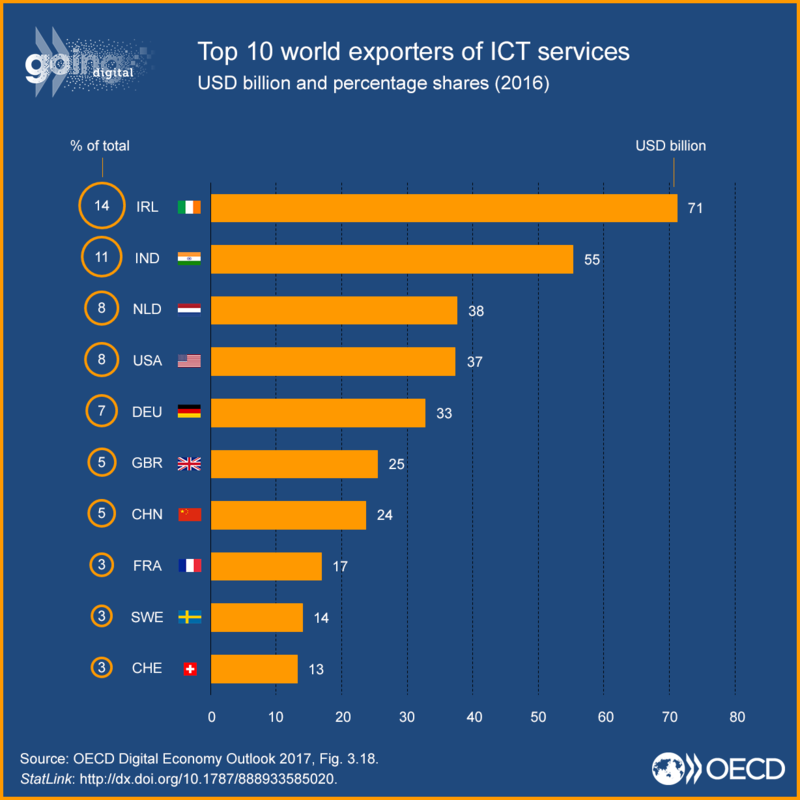 Over 2010-16, the value of OECD export of ICT services increased by 40%. A few economies account for a significant share in global exports of ICT services. Ireland, which benefits from the presence of a high concentration of transnational corporations relative to the size of its domestic market, continues to be the leading exporter of ICT services (over 14% of global services), followed by India (11%) and the Netherlands and the United States (both with 8%). China is also among the top ten exporters of ICT services, along with France, Germany, Sweden, Switzerland and the United Kingdom.